Today we're looking at "The 10-Minute Retriever" by John and Amy Dahl. This book is focused on short training sessions. Especially with a puppy, that's a great idea. It's just built around the idea that if you'll spend 10 minutes a day with your dog you can actually do all the training that you need in a really short period of time. A lot of folks get real obsessed with working with their dog and, over time, they will spend just a little too much time in working in a session. So the concept here is short sessions spread out over time creates a dog that's a little more focused on what he's doing. One of my favorites strictly from a time saving point. Big fan. It's one of our picks and we really highly recommend it. "If you followed the book you will have an outstanding and obedient dog." Very easy to understand. If you followed the book you will have an outstanding and obedient dog. I have read many books on obedience and this book is one of the best at getting results. Very simple and easy. Information works great. This was a gift to my nephew. My copy is getting close to 15 years old. This is the only dog training book I look at regularly. Great information and stories. Great book and good read! Highly recommend it. "I am just learning how to train for field and need all the help I can get." I am just learning how to train for field and need all the help I can get. Your products are always excellent, down to the food dish with the posts, so my Lab doesn't choke her meal down every day. "My Lab has responded very well to the training methods. I would highly recommend this book." Excellent guide, easy to follow instruction. My Lab has responded very well to the training methods. I would highly recommend this book. 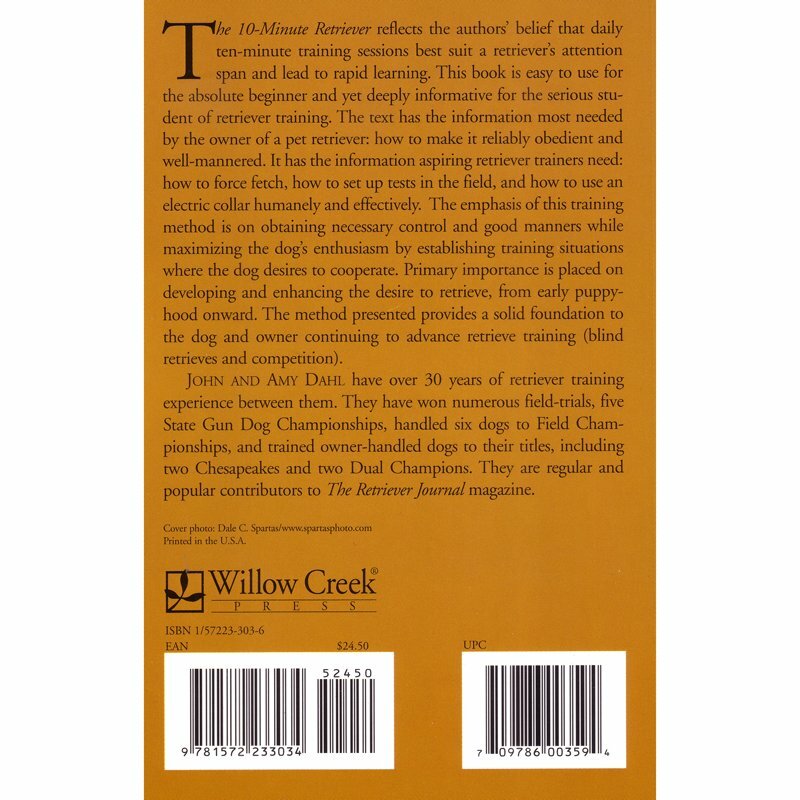 "It is a great "first" book if you are getting your first dog and need just as much training as your dog, and a great intermediate to advanced book." I have a number of retriever training books, videos, etc, and if I had to pick one book to base all of my training on, this would be it. It is a great &quot;first&quot; book if you are getting your first dog and need just as much training as your dog, and a great intermediate to advanced book. The 10 Minute Retriever is really all you need to get you and your dog ready for the hunting season. "Utilizes common sense, simple to follow and best of all it works." Utilizes common sense, simple to follow and best of all it works. "Our six month old puppy is doing fabulous"
Wire haired pointing Griffon. Hunts. Family pet. Great book! We really have enjoyed it and used it. Our six month old puppy is doing fabulous and he is ready to move on to the more structured training. I would definitely recommend the book. As a first time retriever owner trying to train a hunting dog...this book was priceless. I'm a father of two and coach several sports throughout the year making the most of the small amount of time I have with my dog is crucial. This book was great for helping me with things to focus on during short periods of time and helped understand how to progress in a way that benefits my dog.
" 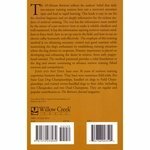 I would highly recommend this book"
I bought this book and several others with it since I was training my first hunting dog. I would highly recommend this book along with several other books and DVDs. The one thing I did learn is that there is no right or sure-fire way to train your dog; sometimes certain types of training works better with one dog than others and having several ideas and different ways to train your dog(s). "Excellent training advice for the novice (like me) or professional handlers." Excellent training advice for the novice (like me) or professional handlers. An easy read touching the basics from puppy work to some handling. Lots of good tips. I liked how the Dahls gave examples of how they dealt with "real" dogs. "The instructions were clear and easy to follow." The instructions were clear and easy to follow. A little weak on some specific issues with one particular dog, being a little timid. Still a very good instruction book and would recommend it highly. "It does what the title promises!" Overly simplistic for a dog/trainer looking to run High level Hunt tests or field trials, but a good introductory book. It does what the title promises! Only half way though it.....so far so good. As most of these books seems to be, pretty much worthless. The author rehashes dogs that he's had from long ago and uses techniques from the 50's and 60's (in my opinion). They worked then, kind of, but we've come a long way in dog training. I was expecting (hoping, actually) for a step by step process to achieve the goal stated in the title. Save your money and buy the Tritronics retriever training book. It is the only one I've found that has step-by-step instructions,and they work. Summary: Excellent training advice for the novice (like me) or professional handlers. Learn how to make an obedient and enthusiastic gun dog in 10 minutes a day. The 10-Minute Retriever reflects the authors' belief that daily 10-minute training sessions best suit a retriever's attention span and lead to rapid learning. This book is easy to use for the absolute beginner and yet deeply informative for the serious student of retriever training. The text has the information aspiring retriever trainers need: how to force fetch, how to set up tests in the field, and how to use an electronic collar humanely and effectively. The emphasis of this training method is on obtaining necessary control and good manners while maximizing the dog's enthusiasm by establishing training situations where the dog desires to cooperate. Primary importance is placed on developing and enhancing the desire to retrieve from early puppyhood onward. The method presented provides a solid foundation for the dog and owner continuing to advanced retriever training (blind retrieves and competition). John and Amy Dahl have more than 40 years of retriever training experience between them, and they also wrote Retriever Trouble-Shooting. They have won numerous field-trials, five State Gun Dog Championships, handled six dogs to Field Championships and trained owner-handled dogs to their titles, including two Chesapeakes and two Dual Champions. They are popular columnists for The Retriever Journal and Just Labs magazines. 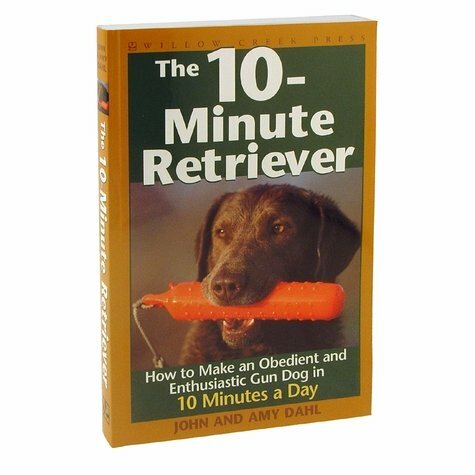 Get 10-Minute Retriever and Retriever Trouble-Shooting as a book combo.